This fabulous Gold Note deck is available ex-dem with the Tuscany Gold cartridge and the PH-11 phono stage. 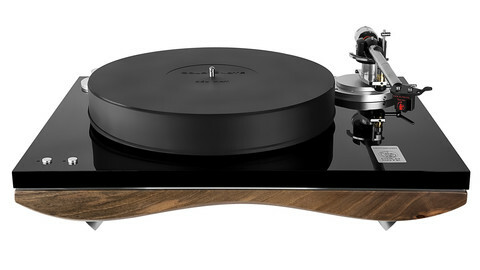 The sculpted, solid walnut lower plinth adds an authority to the sound and the new pulse-width modulating Fiorino TSC speed control/power supply gives great pitch and dynamics offering the advantages of AC set-ups which major on torque together with the detail-enhancing silent background DC set-ups are renowned for. DEMONSTRATOR AVAILABLE FOR SALE AT EX-DEM PRICE – please e-mail me for details.